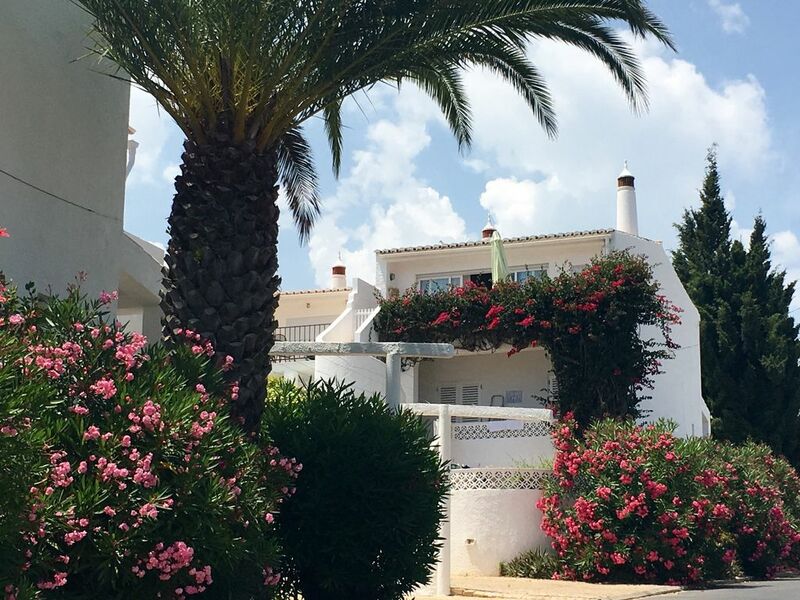 Our beautiful 3 bedroom villa which comfortably sleeps 6 is located just 200m from a lovely safe sandy beach with local shops, numerous cafes and good restaurants. With maid service ideal for families or couples. The main lounge is spacious and light leading onto a balcony with stunning sea views. The kitchen has recently been refurbished. Ideal for barbecues. 10 minutes drive or bus from thriving market town of Lagos. We have membership to use the Luz Bay Club pools. We purchased this property many moons ago and as a family have enjoyed it very much, it holds very special memories for us and we hope it will create special memories for all who stay here. This villa is in very close proximity to the beach and therefore car hire is not required. 2 bathrooms with bath and shower. Large living room with real fire and Sky TV. Spectacular view of sea and headland. French doors with electric shutters lead on to beautiful patio with external steps to other levels and garden. Newly refurbished large kitchen with oven, hob, microwave, fridge/freezer, dishwasher, marble work surfaces and breakfast table. Parque da Florista 15 mins, Boavista 5 mins, Palmares 10 mins all top class 18 hole courses. Notes on accommodation: Cots and high chairs can usually be arranged on request and assistance with car hire. Outside: Sun terrace and small garden with fruit trees. Membership for use of Luna Luz Bay Club swimming pools. Utility Room: Washing machine. Cleaning / Towels / Linen / Maid service: Maid service. Other: Washing machine and iron in basement if required. The beach is just 2 minutes walk. Swimming Pools: access to excellent pools at Luz Bay Club (5mins walk) included. Tennis Courts and coaching available. 1 hour from Faro airport. 180m from Luna Luz Bay Club complex. Local supermarket for reasonable priced excellent food 5 min walk - fab bakery/cafe 2 mins from house. Booking Notes: Call Mrs Joy Sanders 01794 389380 or Nikki Oliver 0773 6061365. This property has a local lodging license. Changeover Day: Thursday although this is completely flexible. Notes on prices: Prices include family membership for use of Luz Bay Club pools situated less than 200m from the villa.